Blog | How Secure Is My Use Of El Loco? How Secure Is My Use Of El Loco? SPOILER ALERT: IT’S VERY SECURE. Let’s start with what El Loco does not do; El Loco does not upload your app, or its source code, into the El Loco servers. Your source code and your compiled app stay on your development machine. What does El Loco upload to its servers? The definition of the screens viewed in the iOS Simulator. That’s it. What goes up into the El Loco servers from your development machine is less than what a user gets when they download your app onto their iOS device. Worst case scenario, if someone guesses your password, they would be able to see screens from the next version of your app. You do create strong passwords, correct? manages the frequent upload, translate, integrate cycle so that your app is completely translated the day the code is complete. The El Loco app installs an El Loco iOS library into your app that collects screen data while you are running the app in the iOS Simulator. As screens get displayed, the library captures what is displayed, and provides that data to the El Loco app for upload. Instead of waiting until the end of the development cycle to localize your updated app, you upload translatable strings and screens captured via the iOS Simulator to the El Loco web site initially to do the bulk of the localization, and then periodically for the few changes that happen during your continued development. Those strings and screens are the only data from your app that are ever on the El Loco web site; everything else that happens on your development machine, stays on your development machine. 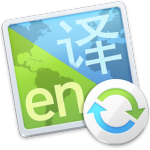 Download El Loco for OS X , analyze your app, and see just how localization ready you are.